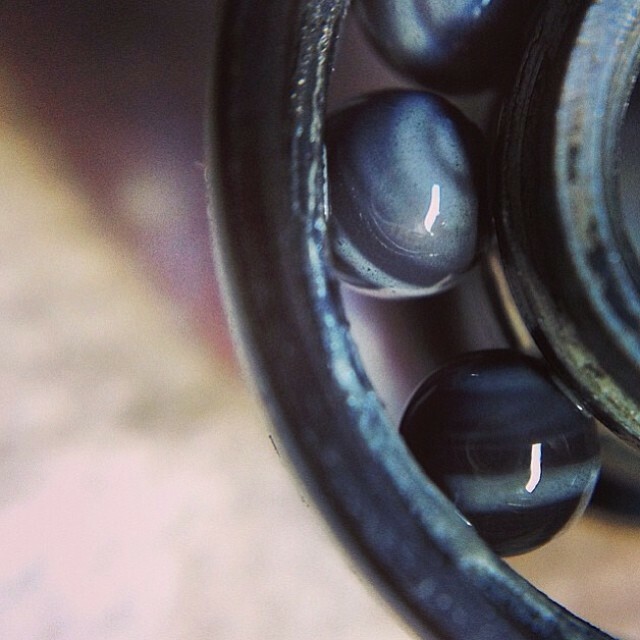 Seismic dropped an update to their 6 and 7 Ball Tekton bearings in steel. New colors, larger flanges and more dust resistance! 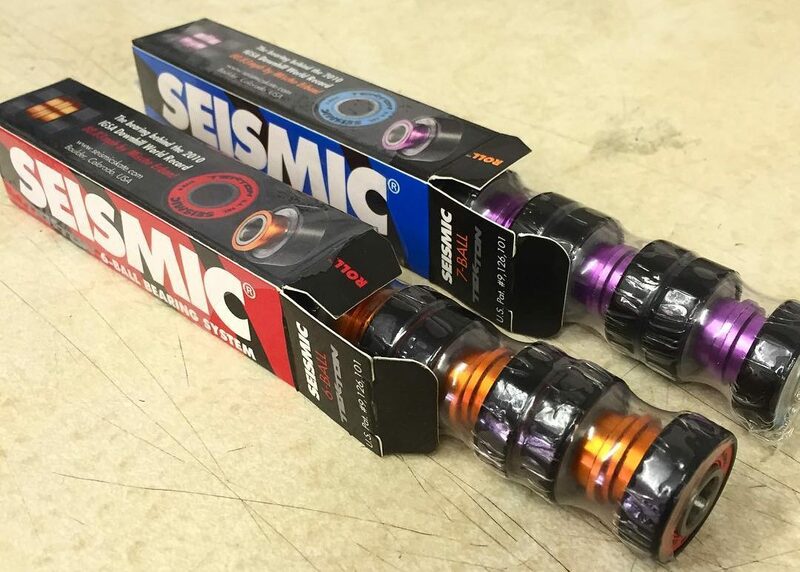 Seismic’s Tekton bearings have long been a staple in both engineering and technology for skate bearings. Their self aligning design accommodates and corrects for irregularities in the bearing seat and the axles. The Tekton update improves the design with larger flanges, improved dust resistance and a colorized integrated spacer for extra style! More than two years of development went into the Tekton bearings. 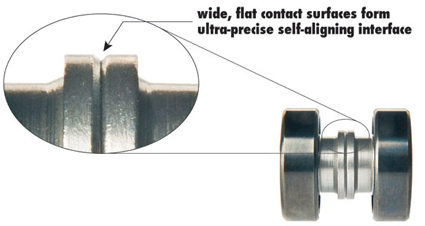 Wide, flat contact surfaces on the integrated spacers align and stabilize the bearings inside the wheel. This interface prevents the bearings from becoming unaligned due to issues with bearing seat spacing or levelness and axle diameter or straightness. 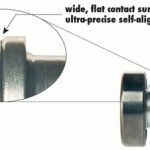 The inner race is stepped where it meets the seal to prevent contamination from dust or debris and the integrated spacer is stepped to reduce weight. 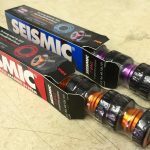 Other features include ABEC-7 rating, steel balls, nylon retainers, black outer casing, removable rubber-coated steel seals with printed graphic, and a proprietary lubricant combining both oil and grease. 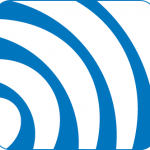 The Tekton update is available now! Hit the link to grab a few sets. Seismic teases a ceramic update in the near future as well! 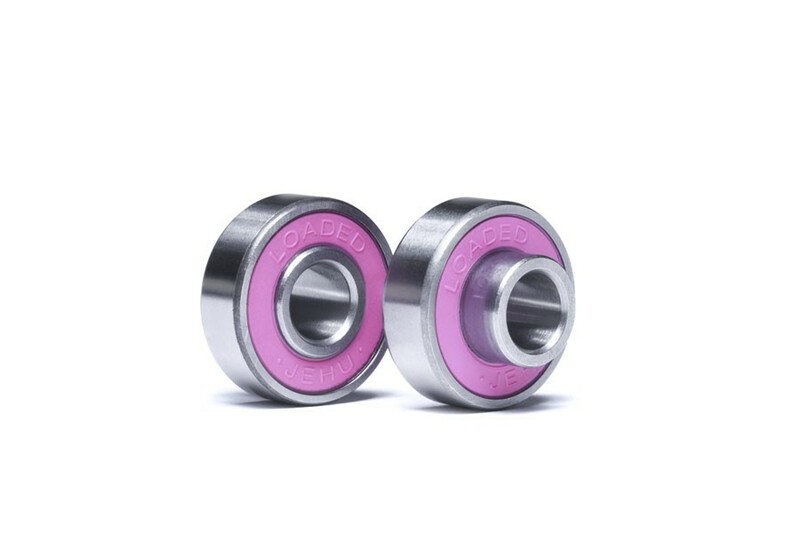 New bearings from Loaded Boards in Pink! Check out the new hotness from Loaded at the link. Loaded recently announced the second coming of their popular Jehu bearings, the JEHU V2, or the Jehunion. The new bearings are a departure from their previous offering. 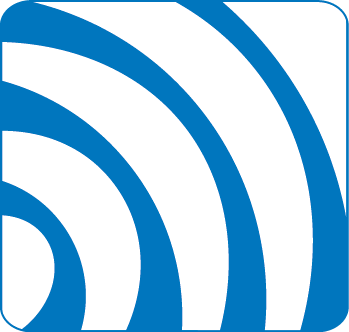 They feature integrated spacers and speed rings. Now you can crank down your bearings without worry and you won’t have to keep track of any extra pieces. 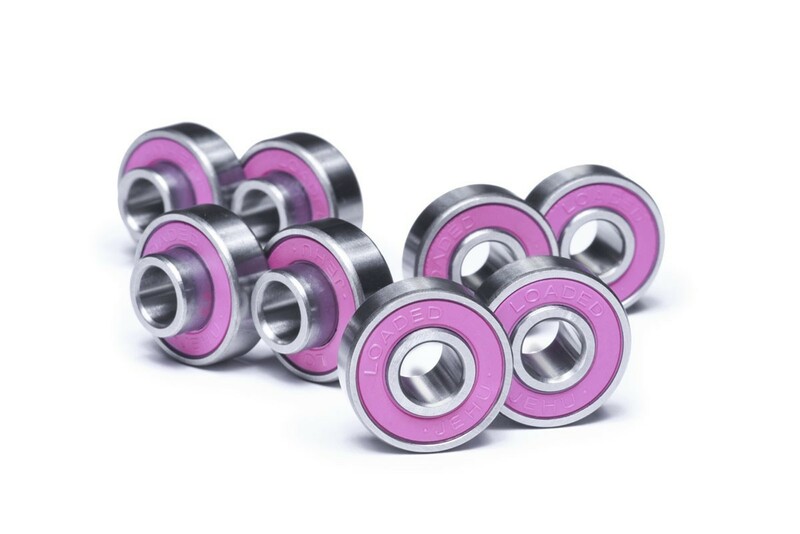 The bearings also sport a new rubberized steel shield in pink for maximum hotness and ease of maintenance. Available now from Loaded Boards for $23 at the link.